The Sunday Times bestsellerAD 54. Claudius is dead. Rome is in turmoil. And two brave heroes of the Roman army face the challenge of their lives. 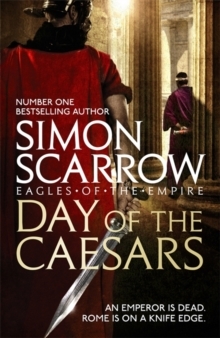 Simon Scarrow's DAY OF THE CAESARS is not to be missed by readers of Conn Iggulden and Bernard Cornwell. 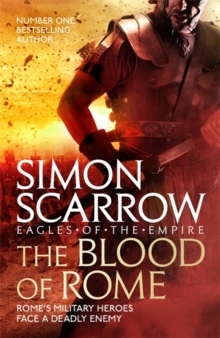 'A new book in Simon Scarrow's series about the Roman army is always a joy' The TimesThe Emperor Claudius is dead. Nero rules. His half-brother Britannicus has also laid claim to the throne. A bloody power struggle is underway. All Prefect Cato and Centurion Macro want is a simple army life, fighting with their brave and loyal men. But Cato has caught the eye of rival factions determined to get him on their side. To survive, Cato must play a cunning game, and enlist the help of the one man in the Empire he can trust: Macro. As the rebel force grows, legionaries and Praetorian Guards are moved like chess pieces by powerful and shadowy figures. A political game has created the ultimate military challenge. Can civil war be averted? The future of the Empire is in Cato's hands... 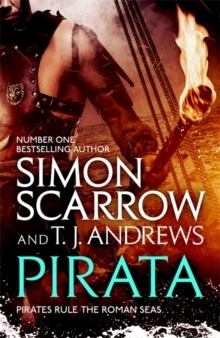 IF YOU DON'T KNOW SIMON SCARROW, YOU DON'T KNOW ROME!